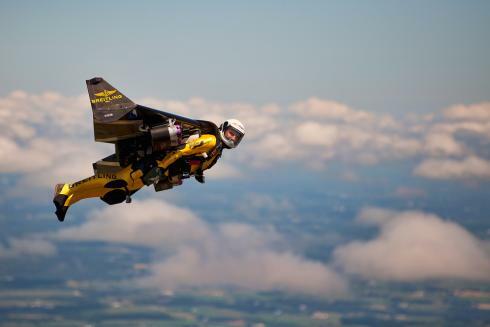 For the first time ever, Yves “Jetman” Rossy, sponsored by Breitling, performed his first public flight in the U.S. soaring over 500,000 aviation enthusiasts. 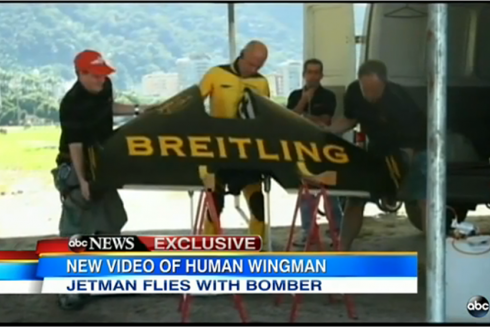 Flying with a carbon-Kevlar jetwing, Rossy reached speeds upwards of 190 mph on each flight. Centigrade helped build awareness for Breitling and reinforced their deep ties to aviation by telling the world about Yves “Jetman” Rossy and his pursuit and passion for flight. A day prior to Jetman’s first flight at Oshkosh, Centigrade coordinated an exclusive media flight on board one of EAA’s historic B-17 planes. However, this wasn’t an ordinary scenic flight over the green pastures of Wisconsin; it was a once-in-a-lifetime opportunity to fly in formation, next to Jetman himself! 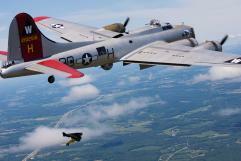 The B-17 flight included some notable media outlets; a crew from CBS This Morning, an Associated Press videographer, a science and technology editor from Wired Magazine and a photographer from USA Today all took part in this incredible moment in aviation history. Following this buzz-building remarkable flight, Centigrade kept Yves “Jetman” Rossy busy all week with more media interviews for outlets including Fox News, CNN, Bloomberg, Esquire and Fox Sports 1. Not only did the 500,000 enthusiasts at EAA AirVenture Oshkosh get to enjoy Jetman’s flying in the U.S., but people all over were able to hear about it in the media as Centigrade generated more than 675 million impressions for this event.